The air may still provide an occasional winterish bite, but for local farmers, spring has certainly sprung. 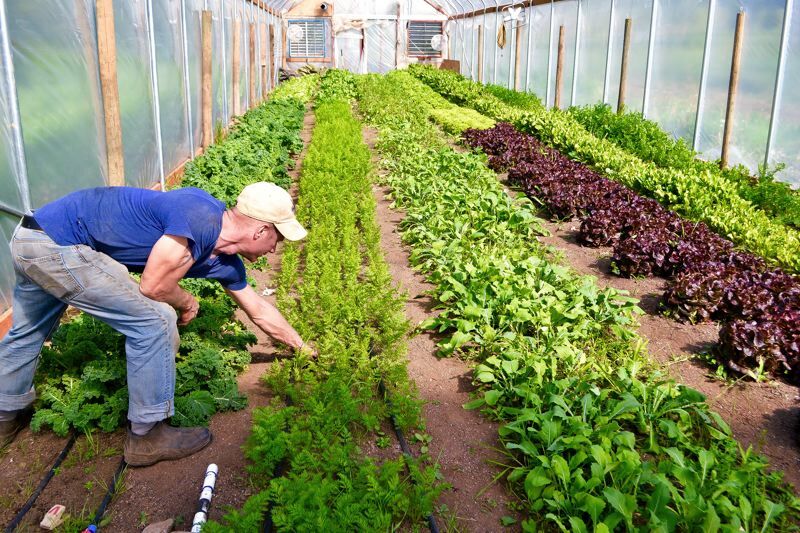 Flowers are budding and vegetables are sprouting and farmers are ready to share their bounty with their communities. 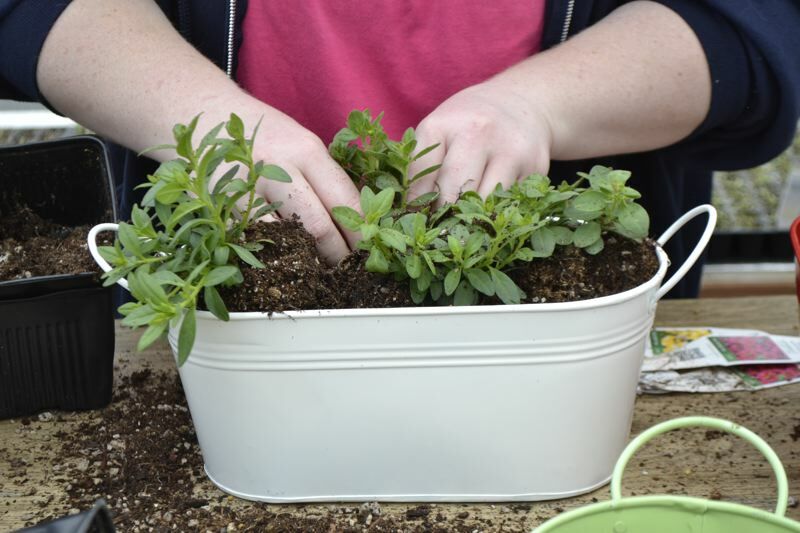 In Boring, Helen and Lara Bushue are potting perennials and filling flowering baskets in anticipation of their opening day on Saturday, April 28. Bushue's Family Farm, 9880 S.E. Revenue Road, has multiple greenhouses full of more than 30 different varieties of herb and vegetable plants and over 50 varieties of flowers. "They come out in so much color and so many varieties," Helen said. "There's always new varieties too." Calibrachoa is one of the farm's most popular blooms. Similar to the petunia, the flower comes in multiple colors and hues and often used in hanging baskets. 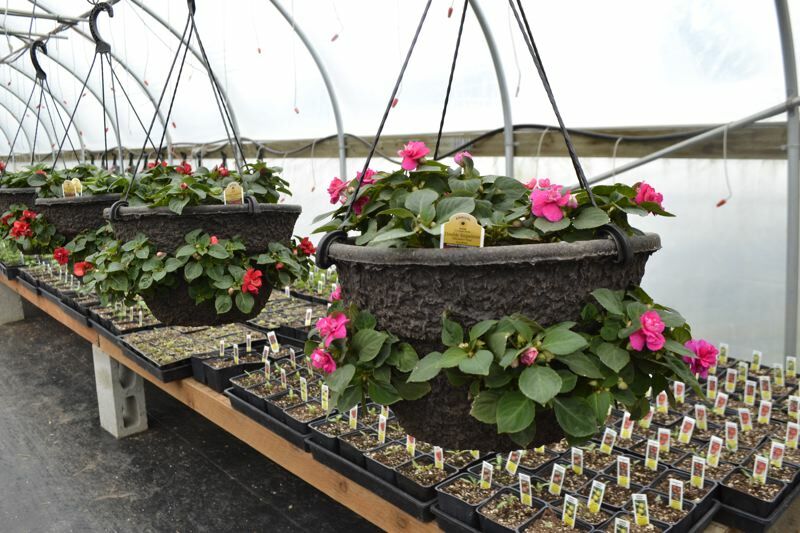 The farm will open to the public with its annual Taste of Local event, in which members of the local agricultural community provide samples of their products and the Bushues sell everything from starts to decoratively potted plants. If a green thumb is not one of your gifts, there are several farmers ready to harvest from their own gardens to fill your pantry. 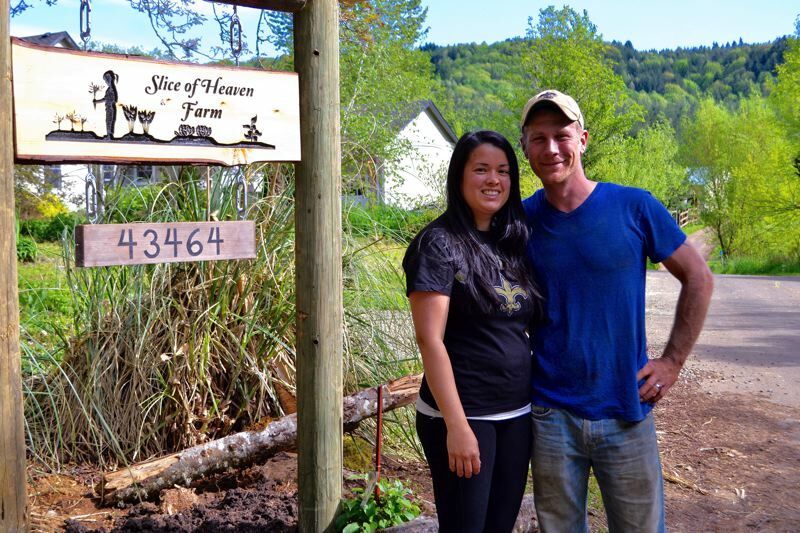 Marieta and Brandon Easley of Slice of Heaven Farms in Sandy start their spring season Community Supported Agriculture (CSA) program in May, and are still accepting applications for shares. In essence, CSAs are a way for families to buy into where their food comes from — to support the farm that produces their vegetables. A way for farmers to have a direct link to their buyers and even educate them, it's essentially a win-win situation for all parties. Customers get fresh produce regularly, and the farmers have money in advance of the season to ensure they'll be able to buy plants, equipment — everything they need to grow your vegetables and fruits. "The CSA members invest in our farm when we don't have any capital," Brandon Easley noted. "We have 26 weeks to make a living. And CSAs (as opposed to markets) eliminate so much waste and anxiety." "At market it's a gamble on what people buy," Marieta Easley said. "With CSA, we only harvest what we need." The Easleys have run their CSA for three years at their Phelps Road farm, and enjoy being able to connect their community with healthy produce. Because of their desire to keep their veggies local, the Easleys only take their produce to two different farmers markets — Mt. Hood Farmers Market in Sandy and the Gresham Farmers Market — and otherwise run their CSA from home. "We want to service this community," Brandon Easley said. "It forms a bond that's really special." "Our main thing is keeping our vegetables as close to home as possible," Marieta Easley added. New to the Easley's operation this year are a few technological advancements. "Some people say 'I have a menu plan for the next week. I know what I want,'" Marieta said. "(So) we're using software now that allows people to ... fill custom boxes. They can go online a week in advance and pick what they want from what's in season." There is not an online store option available for those looking to buy in bulk or make a one-time purchase. Otherwise, many people still rely greatly on the Easley's "Farmers' Choice" boxes, which change weekly. "We try to do a balance," Marieta Easley said. "We'll always have a head of lettuce, and herb ... 8-12 items that we pick." CSA pickup takes place every Wednesday from 4-6 p.m. Shares are $28 per week for a Farmers Choice box and $31 per week for a custom box. If you're looking to brighten up your table with a bouquet and maybe a bunch of carrots too, Tanager Farms in Springdale has both a flower and food CSA. 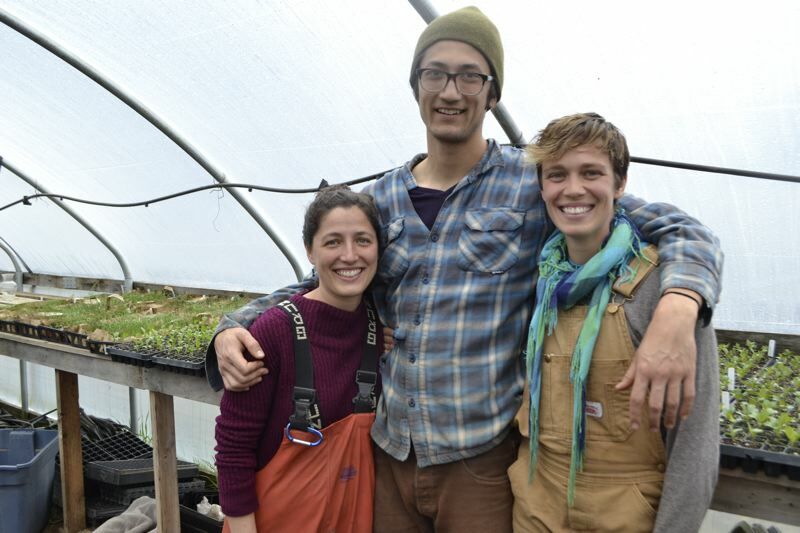 For three years, Brindley Beckwith, Spencer Suffling and Jennie London have worked as a team to provide produce to North Portland, physically removed from Oregon's more open and bountiful rural areas. In May, the Tanager Farms crew will take produce to P's & Q's Market, 1301 NE Dekum St., and Level Beer, 5211 NE 148th Ave., for CSA pickup. "We've grown the CSA every year, and that's our main thing," Suffling said. The trio don't own their own space yet, but they have an arrangement with a family at 41010 Loudon Road, Corbett. They steward the land and provide the family, as well as many others, with fresh produce, and they can use the land for their gardens. "One of the main reasons (we like the CSA) is the community," Beckwith noted. "That we could know our members ... and have that personal approach with our vegetables and our members." At their small Corbett plot, they grow more than 200 varieties of plants, including a plethora of vegetable starts and flowers, which all receive help in the pollination department from the landowner's bees. "We're having fun trying out what works well in this climate and with our members," Suffling said. In their CSA boxes, the trio include 10-12 vegetables per week, rotating some things in and out while sticking to staples like greens and root vegetables. The shares are $600 for the 25-week vegetable season starting May 24, and $200 for the 15-week flower season. They also offer a monthly payment plan. "This felt like a way to make it more accessible for people who love vegetables," Beckwith noted. Beckwith added that she likes the CSA setup because markets are "more like selling to a consumer than hanging out with a friend."